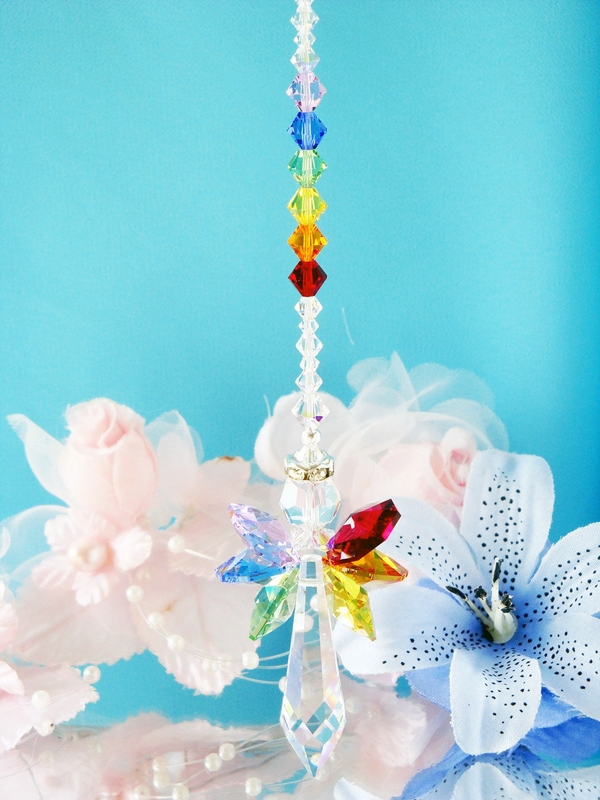 Guardian Angel Suncatcher for Your Home created with Swarovski Crystals in the Chakra Rainbow colors. 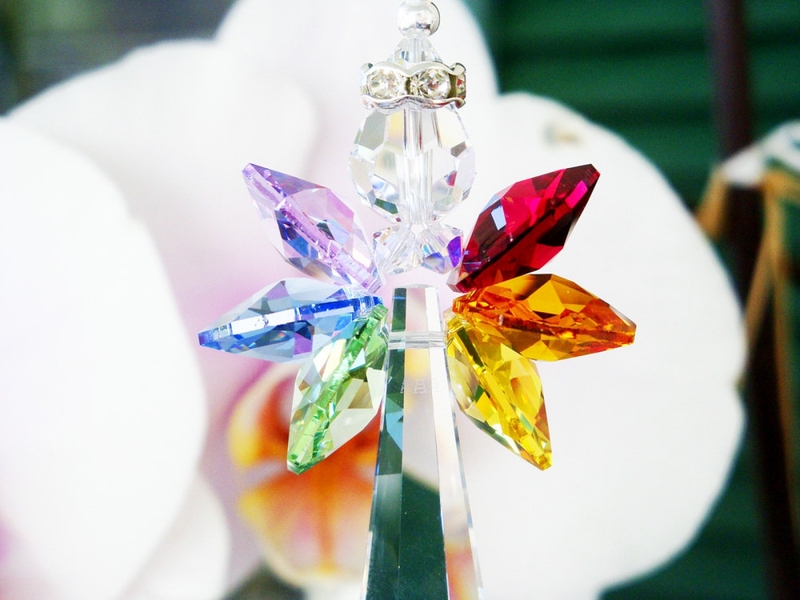 Chakra colored Crystals symbolize the energy of Balance and Realignment. 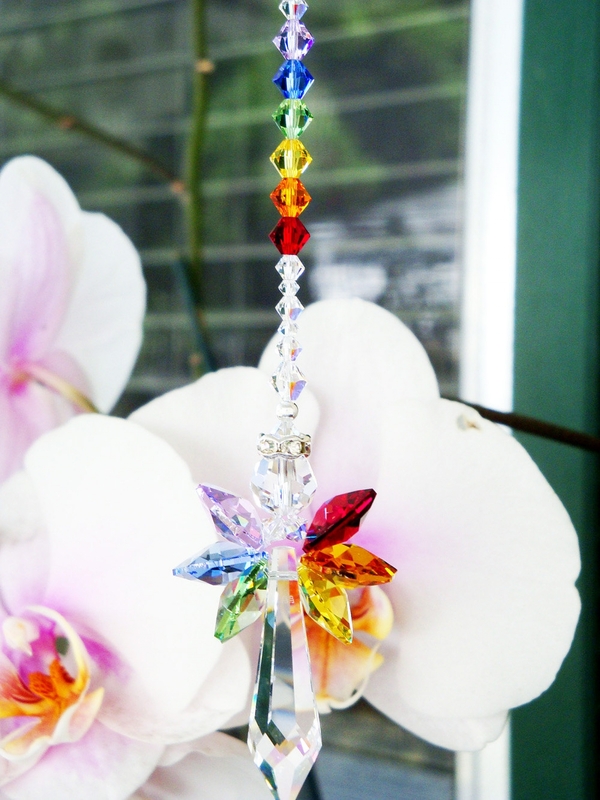 Swarovski Red Bordeaux, Topaz, Light Topaz, Sapphire Blue, Violet and Peridot Green Crystals to form the wings and then matched the rest of the design with those same colors. Use the ribbon to hang your angel over window latches, curtain rods, cup hooks or decorative hooks. I will also include a 1.75" suction cup with hook for the window of your home. 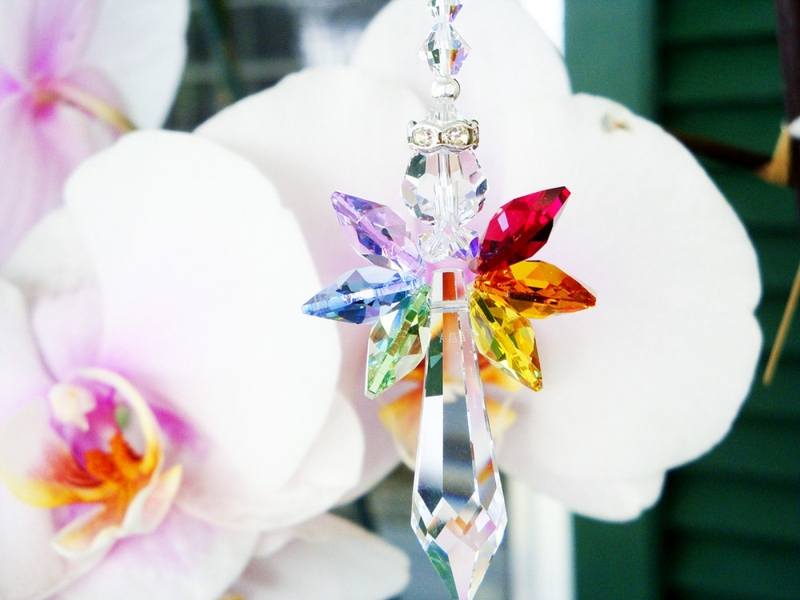 Please be very careful using a suction cup to hang your angel which is created with Swarovski Crystals and is very FRAGILE. If it falls it will break. ❤ Be sure to clean and dry the window thoroughly before you attach the suction cup. Rinse the inside of the suction cup under warm water then shake off the excess water. Press the suction cup firmly in place, making sure there are no air bubbles between the cup and the window. Allow the suction cup to set for 24 hours before adding any weight. Inspect suction cups that are in use every two months and press out any air. When the cup loses its seal, air seeps in. They are strung on heavy duty, 49 strand nylon coated stainless steel beading wire in a pearl color, with sterling silver crimps to secure them. Comes wrapped in a beautiful white box ready for gift giving.